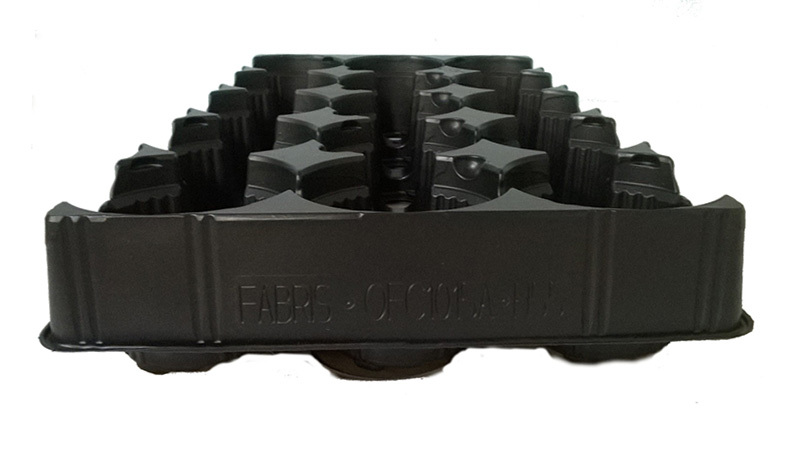 New vase holder 15 places - FABRIS s.r.l. 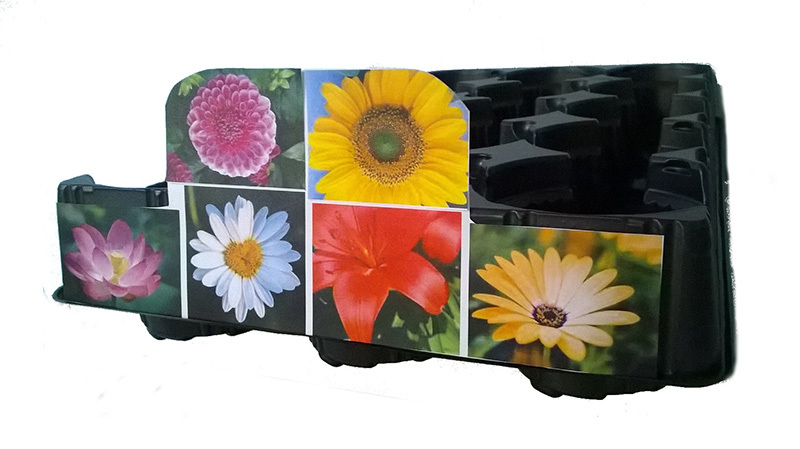 The extra height of the edge allows the application of a label with broad and detailed photographic image. 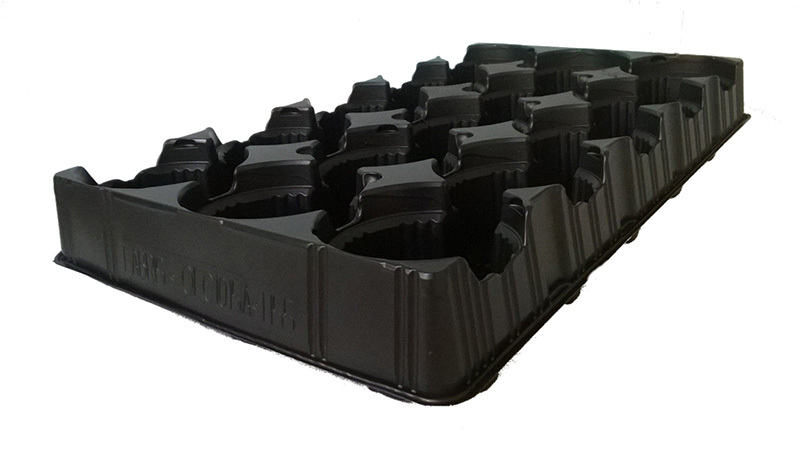 The pot-holder is compatible with the use of filler, where it has the same performance of the traditional pot-holder. The holes on the bottom are made by cold-shearing; This, coupled with the presence of nr. 04 pins that hold the fund raised from the ground, ensures the excess water to drain, giving the typical anti-filling feature. On request, it can be supplied with holes overflow, allowing the where it is necessary, a reserve of water..